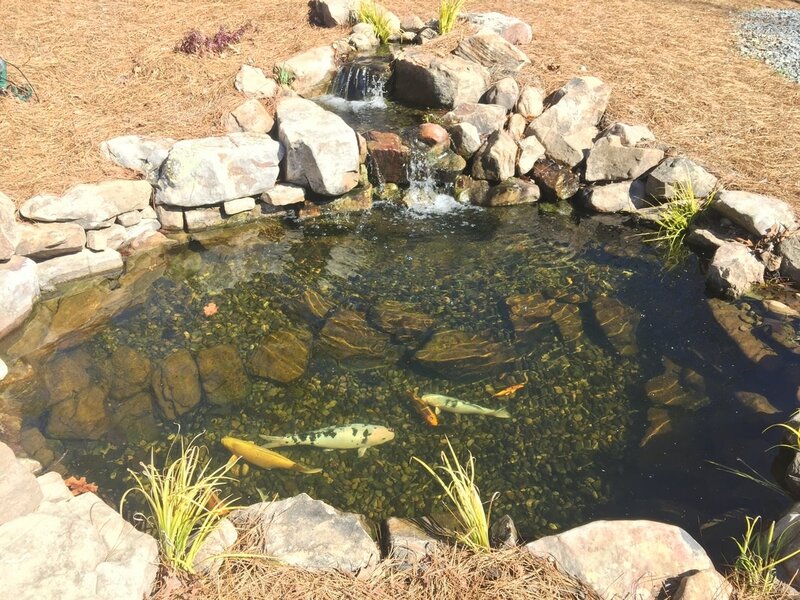 Now that spring is here, you’re probably noticing some changes in your pond - your fish are actively eating again and your pond plants are growing fast. Understanding the transition that your pond makes from winter into spring and summer is essential in maintaining a healthy pond ecosystem. ​You may have just spent your weekend cleaning your pond – or having us do the dirty work for you. 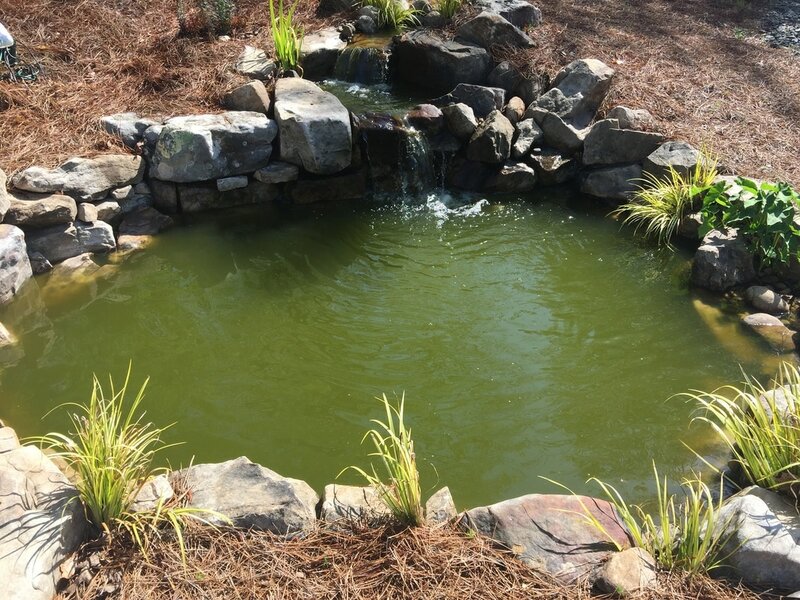 Don't be concerned if you experience new algae growth after your pond is cleaned. It's normal this time of year as your pond is balancing itself. 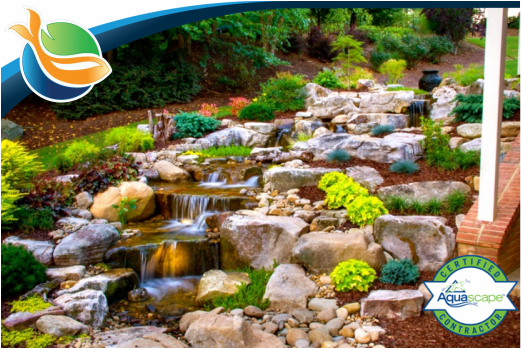 You can, however, perform some simple, important steps that can make the difference between a balanced pond with minimal maintenance and a pond that requires unnecessary maintenance. Although bacteria and plants don't start growing properly until water temperature reaches 55°F, there are still some simple steps you can take to maintain a trouble-free pond. In the Spring you may need to us a liquid algaecide product such as Aquascape's Algaecide to help your pond through the Spring transition. If your water is turning pea soup green, use this product weekly until your aquatic plants have matured for the season. Usually this product needs to be used in March and April when your pond is first waking up for the season. 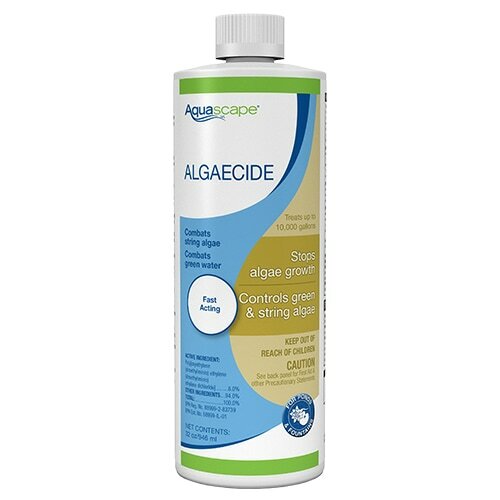 This algaecide can be used throughout the season, as needed, but it's especially effective helping maintain clear water conditions in early Spring until water warms up and the beneficial bacteria and aquatic plants have the opportunity to kick in. Another tip while adding the algaecide is to reduce the amount you are feeding your fish by half until the green water go aways. Algae does not mind cool water, but for the rest of your pond’s ecosystem, 55° F is kind of the magic number. The plants and bacteria don’t jump into action, in the battle of the green monster, until the water temperature reaches, and consistently stays, around 50° to 55° F. At this time they start growing and are then able to use up the excess nutrients that the algae would otherwise be feasting on. This is the reason for new spring algae blooms. Typical green water in early Spring. Clear pond water after using Algaecide in early Spring. Liquid Algaecide to control green water in ponds.